What people say and hear about you matters more than ever in our interconnected world. Our personal (and business) brands are on the line. Everything we do and say is documented and saved for as long as we have access to the Web. More so, others can shape the way people perceive your brand whether they're being truthful or not. Online reputation is quickly becoming a hot topic because everyone has a voice and this means the longevity of your brand could be on the line if you're not taking the actions to be remarkable. Every piece of content you publish to the Web is a representation of your authority, expertise, and brand. It's essential that you take the time to create exceptional content. Content should be resourceful, entertaining, and share-able. You should give those consuming your content a thorough understanding of your topic and something actionable for the take-away. The quantity of content you produce does not matter - it's all about the quality. Take ample amount of time to discover topics your community wants to see, put everything you can into the piece, and push it as hard as humanly possible across the social networks. Great content will bring great opportunities once you're established as a leader in your field. Reviews have tremendous weight when it comes to the decision process of consumers. Everyone has a voice thanks to social media; people are quick to leave negative reviews just as they are to praise a brand. The overwhelming amount of individuals using the Web means that it can be nearly impossible to monitor and manage your online reputation without appropriate tools. What makes matters worse is the overwhelming amount of fake, negative comments appearing all over search engines and in major review platforms which do immense harm to a brand because they are malicious in nature and deter would-be customers. 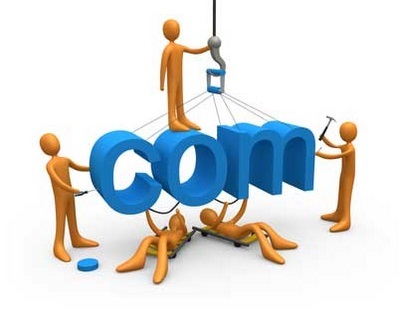 Luckily there are ways that companies go about repairing the damage done by harmful false reviews. For example, a company can use Brand.com reviews to weed out negative reviews from a central "hub" that gives you access to the tools and resources for managing your reputation. Services like that can be implemented when the protection offered by Section 230 of the Communications Decency Act isn't enough. You can leverage this service to repair any damage left by "troll" reviews (and other mishaps) which will paint a positive picture of your brand within search rankings - thus increasing the chances of landing a sale. 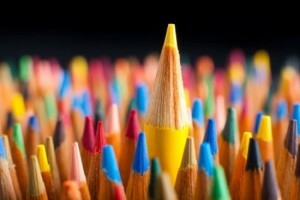 A unique selling point (USP) is what makes you stand out from the countless number of competitors in your industry. The USP acts as a simple explanation as to why someone should buy from your company or subscribe to its services - it's what gives people the reassurance to listen to what you have to say. There are many competitors in any number of markets but if they're all saying the same, boring pitch then consumers don't really feel that any of their choices really matter...so they may just abandon their search. Having that USP will keep you out there in the front, on the tip of consumers' tongues, with the ability to generate buzz and build a passionate community around your offers. Content comes and goes, social media updates are forgotten, interviews go stale, and videos become outdated - one thing that never gets old is a regularly updated indispensable resource. Creating an industry-standard resource makes you the top dog in the market because not many competitors are willing to take the time and energy to develop free resources to the community because they're often holding back behind a paywall. "Pushing the free line" is a popular term floating within industries which takes in the idea that you create incredible content, for free, and use it as a vehicle for converting your visitor to the premium items because of the mentality that "if the free content is this good, I wonder what to expect when I have to pay?" A resource doesn't become forgotten with time - it becomes a defining asset to your brand and aids in the process of building your authority within your industry. Customer service has seemed to fall to the wayside ever since we've shifted a large amount of our commerce online. Customer service should be a priority more than ever because where others have dropped the ball - you will have the opportunity to be remarkable. The point is to avoid having a definitive end to saying "thank you" to customers and clients. After the thank you email should come a slew of phone calls, gifts, and discussions with the customers; this shows that you truly do care about their opinion and their use of your products/services. Offer a remarkable experience and you'll hook people to your brand for a lifetime. Build the culture that you want surrounding your brand. Take targeted actions toward growing your brand by sculpting every element of your work whether it's your tone when conveying ideas in your content to how you interact on social media. A following of 100 passionate individuals willing to share your content, provide feedback, and purchase new items is infinitely more powerful than thousands that are just passing through for free stuff. Cultivate the community from the very beginning by implementing content and marketing strategies that push your unique selling point and brand - through this you will build a presence more powerful than you can ever imagine. Until my next post on Friday with beginner steps for launching a website, enjoy the rest of the week! See you back here on Friday! SEO is an important part of any website strategy, but with a Google Penguin update on the horizon, a lot of businesses are wondering whether their visibility is going to be affected. While you as a site owner can't predict upcoming Google changes, you can make sure your site doesn't get hit with Google penalties that could lower your search rankings. Keeping your site from getting hit with a penalty might sound difficult, but the truth is that Google is mostly targeting sites filled with spam, or sites that are using black hat SEO techniques to boost their rankings. In general, if you keep everything above board, you've taken the first step to avoiding a Google penalty. However, there are some additional things you can do to keep your rankings from plummeting overnight - things you might not even realize could result in you getting hit with a penalty. The Google spiders that crawl through websites and pick up on data don't like paid links. That's because they are essentially recognized as spam and only serve to attract more readers - readers that won't get any useful information. You can continue using ad and directory links if they are working for you, but ditch all of the paid links right away. Websites are supposed to have unique content, and you really shouldn't be publishing your content in multiple places if you can avoid doing so. It's also quite obvious that you shouldn't be copying and pasting large blocks of text from content that isn't your own. If you can't keep up with creating enough unique content on your own, hire somebody to help you out. Utilize the services of content creation sites. Whatever you do, avoid duplicating content over and over again. This will result in a Google penalty sooner or later. As a site owner, you should be auditing your website and links about once per month. Start by running your backlinks and finding out how many of your links are from high-quality sites (versus low-quality sites) that might be considered spam-generators on their own. In general, you don't want to be associated with those low-quality sites. They'll be hit with Google penalties of their own eventually, therefore, you don't want anything to do with them. When you do find low-quality links, ask for them to be removed right away. Document your efforts and request repeatedly if you have to. Taking note of your efforts to get low-quality links removed is important because you may need this information if you do get hit with a Google penalty and need to file a reconsideration request to undo the penalty. Anchor density and how it relates to your money terms is an important issue to pay attention to. Sites with high anchor density for their money terms can indicate SERP manipulation, which can lead to Google penalties. 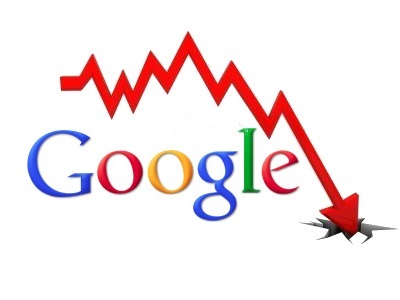 The Google penalties for manipulating the search engine page results through SEO black hat tricks and over-optimization can result in having your website removed from search engine indexes. 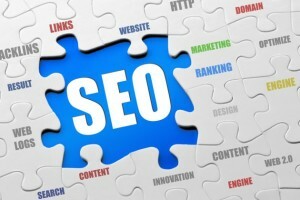 That means people won't see you in search engine results pages, which will surely impact your traffic and bottom line. Ideally, you want your anchor density to be under 15-percent for your money terms. Your non-money anchor text terms can be a little higher, but keeping your money terms low is essential. If your anchor density is getting too high, use branded term links to dilute the percentage and keep a Google penalty from coming your way. Google penalties can result in your site being buried way down in the search results, which is going to negatively affect how much traffic your site gets. Overnight, your site could go from a first-page result to a page-12 result - if it shows up at all. To keep that from happening, use the tips above to prevent a Google penalty. About The Author: Marcela De Vivo is a freelance writer and online marketing professional in Southern California. She works with HostPapa to teach businesses both small and large how to effectively use web analytics, social media marketing and SEO for their sites. She has also used her background in search engine marketing to optimize the performance of her own business' site. Did you find this article helpful? Has your site been hit with a google penalty? If so, what steps did you take to recover from it? Please let Marcela and myself know by leaving us your valued comments in the comments section below. Until my next post tomorrow with 6 ways to be remarkable online, enjoy the rest of your day! See you back here tomorrow! 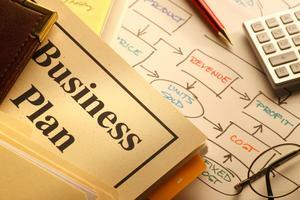 Solid business plans don't guarantee success, but they certainly help. Not only is a plan an effective guide for the short and long term direction of a company, it can also remind you of your initial goals when starting out - thus helping you to avoid straying too much from your original motivation. A good plan accomplishes three important tasks - first it aligns the management team to a common set of goals, then it helps to find ways in which to achieve them and finally it acts as a sort of sales document to attract potential clients and investment - after all, having a clear plan suggests confidence. The best way to put your plan together is step by step and in manageable chunks. Remember - less is more so don't worry about going into minute details but do ask yourself the following questions to help form an effective summary of your company. What does your company do? How can consumers benefit? Why will it be successful? Do you have a unique selling point? Now is the time to focus on detail - imagine your target customers. Who are they? How old are they? Where do they live? What do they like/dislike? What type of products do they buy? What is their income? And now that you can clearly see the consumers who will be buying your product or using your service, go back to your business description and ensure it matches your market. So you know your customer, but do you know your competitors? This is also an important aspect to include in your business plan, even if you feel you have a unique product and selling point. Knowing your rivals - so to speak - will help you further carve out a niche and find out what their customers are not happy with so you can provide it. In addition, it can help you to price your product or service accordingly. Of course, one of the most important aspects of any proposal is considering the financial side of your business. While this may seem like the most daunting part, there are plenty of guides online that can help you to make sure your plan is airtight and takes all eventualities into consideration. Your plan should cover at least a three-year period, with the most detail given for the first year. Creating a spreadsheet is a handy way to see projections clearly and to easily keep track of your finances. Include all outgoings - no matter how small or insignificant - and a sales forecast detailing how much revenue you expect to gain. In terms of overheads, remember to think very carefully about technology, as adopting the right systems early on can help to make savings in the future. Forking out for cloud computing for example, may seem like an unnecessary extravagance, but this type of technology allows a greater deal of flexibility - meaning later down the line you could offer remote working to employees. This is turn will reduce overheads associated with desk space, an IT department and more. Similarly, adopting free conference call technology as a way in which to communicate with colleagues and clients, is both inexpensive and allows for greater degrees of flexibility as well as room for growth should your business be looking to expand into overseas markets. Until my next post on Tuesday with tips for preventing a Google penalty, have a fabulous and fun-filled Summer Bank Holiday weekend! See you back here on Tuesday! Running a small business definitely takes a good deal of time and effort. This can mean little time for any other areas of your life, including your family and friends. The good news is that there are ways in which you can reduce the amount of stress you carry, without compromising your business in the process. The following are some good ways to free up some time for other things, which will definitely make you a happier and more balanced business owner. Stick to your plan and rework it as necessary. When you first had the idea for your business, you came up with a plan for your funds and other aspects of it. Your life will be a whole lot easier if you refer back to the plan on occasion and reevaluate the decisions that you are making. This will cause you to look objectively at your business and resources and evaluate how well things are working. This can help you to avoid going too far down a path that will not lead you to success. You will need to have people who are responsible and can be trusted, this will allow you some time away from the business to enjoy your personal life. In order to be sure that the people you hire are the right people, have a well thought out screening process. This will need to include the questions that you will want to ask in an interview. If you "wing it" you can often miss out on asking key questions that will show you the candidates true character, values, and thought processes. You may even want to have testing of some sort for the applicants. Many companies use personality profiling and general aptitude tests as a first step in sorting through the applicants that seem promising. For instance, if the position you are hiring for requires manual dexterity and speed, you may want to have a timed test that will measure these skills. It is also a good idea to have a system in place that will allow your customers, if they are in contact with employees, to give you feedback on their experiences. One bad employee can definitely hurt your business. For those that do not come into contact with customers, it is a good idea to have regular performance reviews. This will allow you to identify problems, if any, and also recognize those within your organization who are exceptional employees. Don't be afraid to get some help from the pros. All of these services are available to your business, so don't be afraid to take advantage of them. These businesses often consist of highly trained professionals who will be likely more knowledgeable than you are on their area of specialty. This can mean many things for you, such as, money savings in the long term, you will be able to avoid any taxation issues that can arise from mistakes, you can avoid costly lawsuits that may arise from the mistreatment of an employee or safety in the workplace, and of course you will get some time for the people and things in life that are important to you. When you consider the costs for these services, which vary, what you will gain is far more valuable. Did you find this article helpful? Do you have any tips to share? Please let me know/share them in the comments section below. This article is sponsored by: Arnold McClellan, an Accounting Professional and Philanthropist. You can visit his blog here and learn more about him in this post. Until my next post on Friday on business proposals: planning for the long term, enjoy the rest of the week! See you back here on Friday! Networking is something that divides opinion. Some people love the opportunity to interact with potential employers, while others do not enjoy having to engage in chit-chat with a number of different individuals, even if there's scope to develop relationships with key contacts for job leads and referrals. However, people and businesses should not view networking events with trepidation, as by following a series of steps, they can be held in a straightforward and stress-free way. The most important thing to remember is to have a strategy in place, as this will help them to run smoothly. According to a blog on Avangate, having a self-explanatory name is essential if businesses are going to attract the right type of people to an event. For example, those in the e-commerce industry will want to make sure they are going to listen to talks specifically about the sector, rather just an overarching discussion on the role of technology in retail. Information is also very important, so creating a specific landing page on your website is a good idea. This means individuals have a resource where they can go to find out specific details, such as times, dates and locations. As the event approaches, organisers also need to send out reminders to jog the memories of anyone who might have forgotten about it. Have someone meet and greet guests - Most people attending will not know where to sit or the format for the day. Provide welcome kits - These will be invaluable, as they outline what is going to happen and allow attendees to see what events they shouldn't miss. Find out some background info - Research some of the guests who are attending and see if they should be matched up with each other. Buy some badges - This stops people having to memorise a lot of names. Have an introductory presentation - This offers the organisers a platform to say who they are and what companies are being represented. Once the event is over, the organiser should make sure they say a few words thanking everyone for attending and giving their time over. Take up all of their business cards and inform them of what the follow-up will be. This can take a number of forms, such as producing a newsletter or hosting another networking event. Another option is to give out a series of business gifts. Promotional gifts can be practical - such as business card holders or travel mugs - and can act as a nice way to sign off an event. A few days or weeks down the line, send out an email to attendees highlighting the potential benefits of working together and the opportunities that exist. About The Author: Today's post is brought to you by Topher Grant, a young entrepreneur who has hosted many networking events for business partners in the sales sector. For more information on the options of business gifts available for your networking event, 4Imprint offer a wide range of personalized souvenirs. Click here to find out more. Did you find this article helpful? 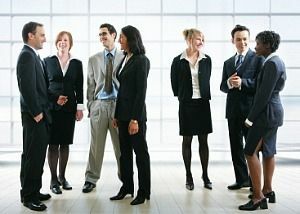 Have you held or attended a networking event? Please let me know by leaving me your valued comments in the comments section below. Until my next post tomorrow on how to make running a small business a whole lot easier, enjoy the rest of your day! See you back here tomorrow! 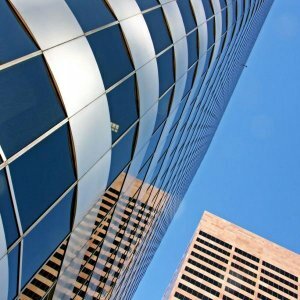 Vacancy rates in the commercial sector paint a worrying picture. In 2012, four per cent of commercial and industrial properties in the UK were vacant, according to figures by Jones Lang LaSalle. London suffered the worst, with vacancy rates of 7.2 per cent. Therefore, it is important that once you buy a property, you get both the right deal and then you make the most out of your assets. The pile of vacant properties across the UK are, in most cases, the result of bad investment decisions. It is therefore important that you make sure you are always getting the best deal possible when buying. With such a variety of lenders available on the market, you should always be doing your research fully and shopping around when it comes to commercial mortgages, just like you would do so with a residential loan. A clear distinction between business and commercial investment mortgages has to be made here, the former for those looking to buy premises for their own operations, and the latter for those wanting to lease out commercial property for other businesses. Consider your options carefully as this finance is what will initially make or break your business plan. A recent report by Cushman & Wakefield has suggested that leasing activity of commercial property in central London rose dramatically in 2013, primarily fuelled by industry fears that supply levels may be diminishing in the capital city. In the first half of the year, just over 4.5 million sq ft has been let in the area, a 33 per cent rise from the 3.4 million sq ft let within the same period in 2012. With so many firms snapping up properties quickly, the market is becoming more polarised with vacant spots and quick take-up, meaning that investment decisions needs to be made more wisely. When choosing your properties, various factors need to be considered such as location, amenities, facilities, and potential business growth in the future. Great sites such as PropertySales are a perfect resource to pick the right spot. Finding your initial customers is vital when launching your business. Not only will they offer the beginning of a revenue stream, but they will legitimise your product, suggesting if there even is a market for what you are selling. By offering your firm feedback, they can also help you to fine-tune your business plan in the first stages before more customers come in. Achieving a customer base is dependent on your individual industry, but you should make the most out of your contacts and their networks. Whether it is employees, civic contacts or even tradespeople, you can bring them in through special rates, discounts and consultations. Strike the right deal and get your business running on the right foot. To avoid being "that" business that goes under and leaves your commercial property vacant, business strategy is key. Set yourself both short and long-term goals, with a variety of objectives to determine how you will achieve these. Until my next post tomorrow on how easy is it to hold a successful networking event, enjoy the rest of your day! See you back here tomorrow with a new post! 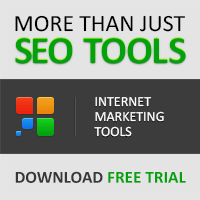 Think search engine optimization is just for big businesses with huge marketing budgets? Think again. Even if you're a small business owner, SEO can and should form an integral part of your business practice. So what can you do as a small business owner to incorporate SEO without taking valuable time away from other business activities? These 7 easy strategies will improve your search engine optimization without taking you away from your customers. 1. CONTENT IS KING. If you've ever been involved with SEO, you've probably heard this phrase before. It's never been truer or more important for small businesses. High quality content can either make or break your website from an SEO perspective. Remember that "high quality" doesn't mean SEO-driven content with no purpose other than targeting a search engine. It means authoritative writing from an expert source that adds quality to your website and imparts value to your website's visitors. 2. FORGET KEYWORDS. Keywords, keyword research, keyword stuffing, anchor text, and a whole nexus of related issues used to form the lifeblood of SEO - but that's no longer the case. In fact, over-optimization of keywords can actually hurt your website's search engine rankings. For the best results, forget targeting specific keywords, and instead focus on simply articulating what your business does, and how it does it. 3. NARROW YOUR FOCUS. As you lay out your website, make each page as focused as you can. 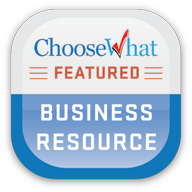 If you have separate business locations in different cities, make a page for each one listing hours of operation, contact information, and relevant details. If you offer editing and writing services, create a page for each one - just make sure that each page is thoroughly fleshed out with quality content, and doesn't appear "thin" or spammy. 4. USE LOCAL CITATIONS. Take a few minutes to register your site on Yelp!, Google Places, and other local citation services that are relevant for your business. You'll not only pick up additional business directly through the citation, you'll be building better SEO in the process. Also make sure your site is registered with Mapquest, Yellow Pages, and City Search. 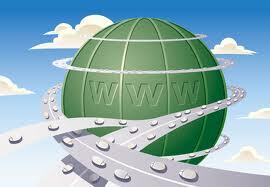 Developing a wide local footprint will help customers - and search engines - find and index you much more efficiently. 5. GET SOCIAL. It's no secret that social sharing is the lifeblood of the new internet economy. Just like local citations, social media will help you draw customers directly to your business website, as well as increase your authority with search engines. Remember, though, that social media only works if you provide value to your followers. Avoid the temptation to buy followers or engage in other spam tactics - you'll quickly alienate your customers, as well as the search engines. 6. BUILD LINKS - CAREFULLY. Link building does still have a place in SEO. Getting links from high quality websites relevant to your business is incredibly helpful when it comes to achieving a higher search engine ranking. You can get links by reaching out to colleagues in your field, offering guest posts, or simply writing expert quality content people can't help but link to. But remember that link building for the sake of link building can hurt your SEO standing. Never solicit links from poor quality websites, and don't participate in link exchanges. 7. BLOG YOUR BUSINESS. The idea of starting a blog is still quite foreign to many small business owners, but it can be incredibly useful from an SEO perspective. By keeping a regularly updated blog, you continually give search engines new content to index. Focus on adding high quality information to your site, and you'll keep visitors coming back, too. About The Author: Matthew Walden is a partner at Infinity Consulting Solutions (ICS), one of the top IT staffing agencies in New York City. 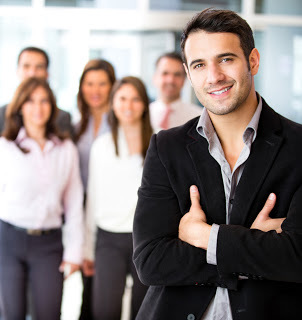 As an expert in the recruiting field, Walden offers over 20 years of expertise. If you would like to reach out to him send him an e-mail at matthew@infinity-cs.com. Did you find this article helpful? Do you have any SEO tips to share? Please let Matthew and myself know by leaving us your valued comments in the comments section below. You Don't Have To Be An SEO Whizz To Improve Your Search Engine Rankings! Until my next (and slightly different) post on Monday on getting the most out of commercial properties, have a wonderful and relaxing weekend! See you back here on Monday! If you're starting a new business venture, then there are probably many things that you want to be. You'll be aiming to be professional. Hopefully of course you'll manage to be successful at some point. And it then follows that you should also be profitable. But something that not many business people tend to think about is being cool. Just as in school however, there is something to be said for being one of the popular kids - it's just a shame that it's still just as difficult to be in the in-crowd as it ever has been. Here we will look at what it takes to be cool in business, at why you might want to be, and at how you can manage your coolness-factor with aplomb. First of all, let's examine why a company might want to be cool - and the reason is simply that it will make your business more popular with a certain type of customer which in turn will help you to make more sales and even to get let off the hook when things don't go to plan. This is something that will be more useful for some companies than others of course, and the question you have to ask yourself at this point is who your target demographic is: if you're aiming to provide B2B services then you might want to try and look professional rather than cool. On the other hand though, if you're selling fashion then being cool is almost a requirement - as you'll need to be switched on and up-to-date with the latest trends in order to provide clothes that will make the people wearing them look cool. For everyone else in between, an element of cool seriously doesn't hurt. If you can poke fun at yourself, if you can try things that are a little different, and if you can set yourself out as fun and exciting, then you'll find that you generate more interest in your business and that more people want to find out about what your business do. The average Joe is always going to be attracted to the company with the less "stiff" image - why do you think that Apple is so much more successful than Microsoft? So the question is then, how do you go about giving your company that edge and avoiding being stuffy? Well generally that means having fun with your business and being a bit creative - whether that's through your advertising, through your web design, or through your packaging and copyrighting. At the same time being good at what you do and valuing customer service. If someone is frustrated at you because they can't get through to speak to a human being when they have a problem, then that's going to make you look out of touch and disinterested. Instead, make sure that you put your customer at the forefront of your business so that they can develop a relationship with you rather than seeing your organisation as "cold" and "faceless". The pitfall to avoid here is trying too hard to force yourself to be cool - if you make it too transparent that you're trying to impress a youthful crowd then you'll only embarrass yourself and them. If you've ever cringed at old celebrities trying to appeal to kids through the medium of rap (normally sporting a backwards baseball cap) then you'll know the kind of vibe that you're trying to avoid. The secret to being genuinely cool then is not to try too hard. While it might sound like a cliché, the answer is to be yourself. That means on the one hand that you can relax and loosen your tie when you're in meetings, and that you can create advertising that's a little off-the-wall and unusual; but at the same time it also means not trying too hard to be cool and not losing sight of your target audience. The great news right now is that as a small business and a start-up, you are inherently going to be cooler than your larger competition (people love underdogs). The secret is to make sure that you remember why you got into the business in the first place, and to make sure you keep that enthusiasm even as you grow. About The Author: The founder of Berkeley Sourcing Group, Greg Fisher, is the brains behind this article. When he is not busy working, he enjoys reading books or playing a good game of chess with his friends. Did you find this article helpful? Please let Greg and myself know by leaving us your valued comments in the comments section below. Until my next post on Friday on 7 ways to improve search engine optimisation (SEO) for your small business, enjoy the rest of the week! See you back here on Friday! Search engine optimization is one of the best ways to promote your business and to get more traffic for your site without spending any money. However, pay-per-click advertising can also get you results - sometimes faster. Which one is right for your business? Pay-per-click advertising can get very expensive. Even if you're fortunate enough to have keywords that don't have a high cost-per-click (CPC), there is still a relatively low average conversion rate for most ads, and so you will need to pay for a lot of clicks before you start seeing sales and e-mail opt-ins. Determine how much you have to spend, and if it's not enough to make it worth it, focus on building your SEO while you save for an appropriate budget for a successful ad campaign. How Fast Do You Want to Get Results? Everyone wants their business to be an overnight success, yet that's not going to be possible for most people. Think in more realistic terms and decide how quickly you want to - or need to - get results. SEO is a long-term play, but once you start making gains with it, you will attain a more stable position for your web presence. PPC will achieve faster results, which is useful if you are a small startup, you are introducing a new product or service, or you are trying to turnaround poor quarterly results. While PPC can get you quicker results, it's not guaranteed. You'll get more prominent exposure for your site, but you may not get the click-through that you need. You have to have a solid campaign behind your budget. How Much Time Do You Have for Study? While anyone can learn SEO, not everyone has the time to do it. Casual reading of SEO blogs can help you to understand basic concepts like the need for quality links or how to use keywords appropriately. But how do you get a quality link? How do you know what keywords to target? You have to devote the time to studying SEO to learn successful strategies and then to implement them. This is especially important since search algorithms are always changing, and you may need to change your strategies quickly to see results. If you don't have the time to devote to learning and staying abreast of successful SEO, it may be worth investing in PPC instead - or hiring someone else to do your SEO for you. Highly competitive fields may result in two things: The cost-per-click (CPC) of the keywords you want to target for a PPC campaign will be too much for your budget, or if you are trying to use SEO instead, your page will become buried in search results for those keywords. There are a couple of things you can do. Take the slow and steady approach with SEO, or increase your budget for PPC. You can also target more niche keywords that have lower competition to rank your site faster or to manage a PPC campaign that fits your lower budget. 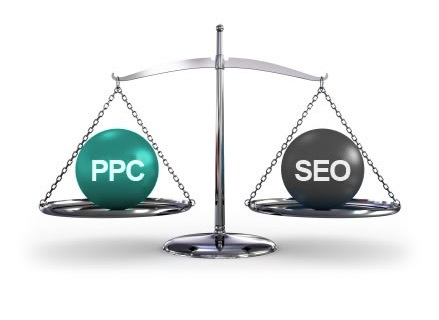 Ultimately, there is no "right" choice when it comes to SEO or PPC. What's right for your business will depend on your budget, your niche, and the results you are trying to achieve. Consider the answers to these questions when trying to make the right choice for your business. Have you been more successful with SEO or PPC with your business? Share your thoughts in the comments! About The Author: Chloe Trogden is a seasoned financial aid writer. Her leisure activities include camping, swimming and volunteer work. Did you find this article helpful? Please let Chloe and myself know by leaving us your valued comments in the comments section below. Until my next post on Wednesday on how to make your business cool and why you'd want to, have a great and productive week ahead! The marketing landscape is evolving rapidly. Even a few years ago, most marketing budgets were focused on market research, print, and other traditional outlets. 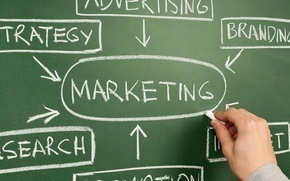 But in 2013, online marketing is just as important - if not more so - than traditional marketing. Here's a closer look at why, and what you need to know to make the most of this rapidly evolving opportunity. Even in rural America and developing countries, the internet is becoming pervasive. For example, according to Pew Internet, nearly half of all Americans own smartphones and a third own tablets. These devices are on pace to account for more internet searches than computers. Now marketers don't just need to capture people's attention online - but they need to make the most of mobile opportunities. When you consider that mobile devices are connected to the internet all the time and almost always with your customers, you start to see how powerful this marketing opportunity is. Mobile marketing is in its relative infancy, so it's a great way for brands to get traction quickly. It's hard to measure the effectiveness of print advertising without using complex tracking mechanisms or waiting days or even weeks to get statistics. Online marketing allows us to access instant information about customers and campaign performance. Want to know how people are finding your site? Google can tell you. Need data on who is visiting your website - including demographics and what they're doing there? Your analytics packages has all the information you need. Want to know if your headline is effective? 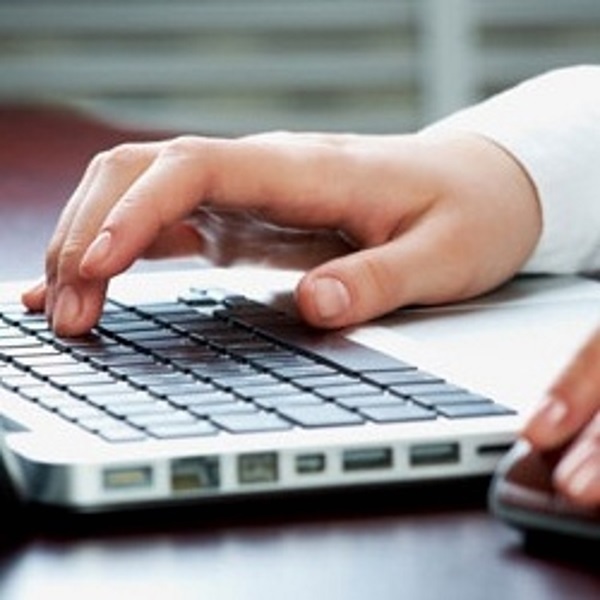 Just check your click through rates on your email marketing program. Access to real-time customer data helps you sell better by being able to quickly adapt campaigns that aren't working and replicate efforts that are really effective. The most innovative space in marketing is online. Between the proliferation of video, audio and visual campaigns and the rapid development of mobile technology, some of the most creative marketing is happening on the internet. Companies that want to build brands that reach new customers quickly, that win awards, and that go viral are focusing on the web and using consultants like Cloverleaf. Innovation isn't just happening in terms of the platform or packaging of the marketing materials. Much of the innovation that's happening is also focusing on content. Apps are allowing for creative deployment and delivery of sales and informational content. Brands are moving in the direction of sponsored content, which is being widely consumed alongside more "editorial journalism." This changing the rules for how brands reach customers and disseminate information. In many ways, online marketing is cheaper than traditional marketing. While an ad in a newspaper or magazine can cost thousands, you can often advertise on the websites of those publications for a fraction of the cost. Because online advertising can be broken down into views or clicks - whereas a print or radio ad takes up all the real estate available in a specific issue or time slot - brands are able to access more affordable advertising options on high traffic social media sites, top tier media, and niche specific online destinations. Finally, social media strategies are an essential piece on any marketing strategy today. Traditional marketing allowed you to push out your content; social media requires that you engage. But it also enables you to start a dialogue with customers and prospects. Social media is one of the most authentic and immediate strategies that marketers can use to reach their audience. The channel is effective for sharing information as well as gathering marketing intelligence. While marketing dollars may continue to be stretched, it's important that every marketing strategy have an online component. Many companies are finding that online marketing is more effective than other traditional methods, helps campaigns scale quickly and attract new audiences. What's your most effective marketing investment? Let us know in the comments below. About The Author: Elizabeth Alton is a freelance business and technology writer. She covers trends related to small business, entrepreneurs, and the evolving digital landscape. 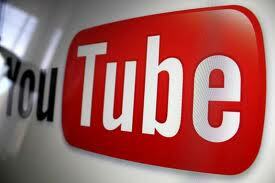 Until my next post on Friday on how to use YouTube to grow your business, enjoy the rest of the week!